People who have already experienced the joys in the world of fishing will undoubtedly confirm that fishing is one of the best therapy methods ever. It is both fun and beneficial for your mental health as it has a huge calming effect. Nevertheless, beginners may not be amazed at first from their first fishing experience and might feel lost, as to be honest, fishing takes some preparation beforehand and of course, quality equipment. The truth is, this sport requires much patience, free time and you certainly need to have some basic knowledge in the matter before delving into the exciting world of fishing. Feeling anxious and intimidated? That’s totally fine, you’re a newbie. But hey, do not give up just yet! There are a lot of sources you can find online, including a wide array of fishing videos, blog posts, books, etc., from which you could learn something. For that reason, in this blog post I have compiled a list of a few useful fishing tips for beginners which will help you get the most out of your fishing trips. Brace yourself, time to learn the basics. As a beginner, consider getting yourself a spinning reel as it is most suitable for rookies. What’s also important to know, is that the choice of the rod and reel will be determined by the type of fish you plan to fish for. For this reason, it is a good idea to consult with the salesmen at the tackle shop about what type of rod and real are right for the fish you are targeting. There are a few different types available including braid, co-polymer, monofilament and fluorocarbon. Each of them comes with certain advantages and disadvantages, so when looking for the right line ask the salesperson for advice. In this range are included bobbers, hooks, and weights. The vast array of fishing tackle on the market may confuse you when it comes to making the right selection. Nevertheless, buy a small fishing box that comes with all fishing essentials so that you have everything you need in one place. Online videos are another great source that offers useful tips on how to rig up your tackle quickly. For beginners, live bait is considered the easiest to use because fish are more likely to bite it. With just a few videos you will be able to learn how to correctly set the hook. Some of the most common types of live bites are minnows, worms, night crawlers and leeches. You will need a lot of practice in fishing before you can actually enjoy it and reap the benefits of the whole experience. Especially practice casting. For starters, you can practice at home. Your backyard can be a perfect place to learn how to cast the right way. You can use a few pieces of paper and try to cast them. Again, online fishing videos are a great source from which you can learn different techniques. Find good ones that you understand and watch them on repeat until you fully comprehend the technique. 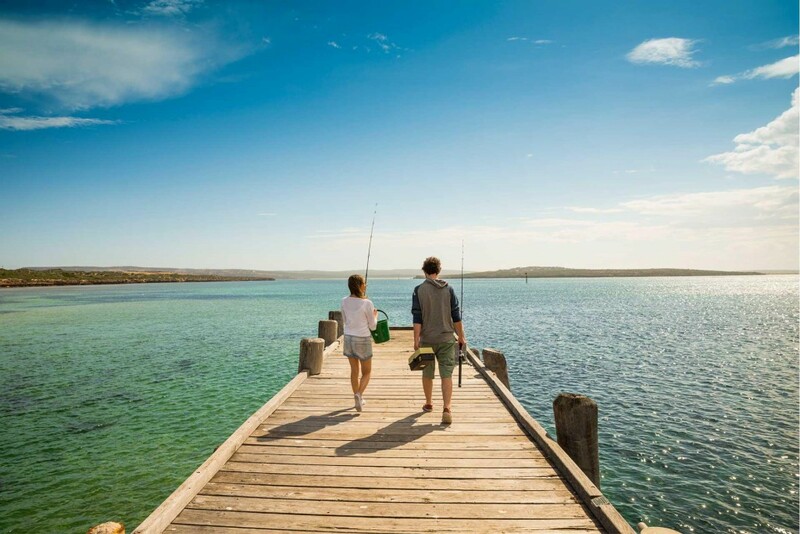 Fishing is a great way to spend some quality time outdoors with your family and friends. Moreover, it is not even an expensive sport. There is a wide range of fishing shops that offer affordable price for their products. So, once you learn all the basics, you can go out there and try to catch some fish. Hope that the above mentioned fishing tips for beginners will help you to learn the basics and have a blast on your first fishing trip. Good luck!